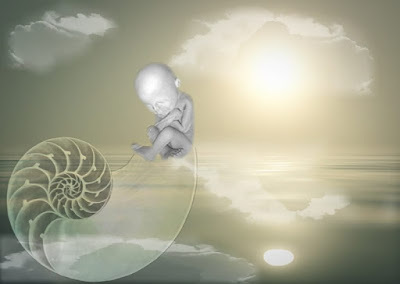 Before we are born we are asked just one question by our soul family. “What is it you would like to learn this lifetime?” It is then, in our answer, that soul contracts are formed. If we wish to learn patience, we will not ask to be surrounded by Zen Masters, but rather people (siblings for example) who will push our buttons and annoy us to the ends of the earth. If we wish to learn love, we will be shown hate, and no matter the lesson, we ask that the opposite is brought to us for example, if self-confidence is chosen, then friends in disguise will come and step on us. It is within this very principle that all soul contracts are based, for it is only in being stepped on that we have no choice but to learn to STAND UP for ourselves. Self-development can be a deeply painful process that by nature requires us to be scrubbed. It is in the repetitive scrubbing of a diamond that it gains its sparkle and we are no different. There are two kinds of pain, learning pain and abusive pain. While the latter serves little to no purpose, the former is fundamental to our growth as human beings. Other than beginner’s luck, which (in my opinion) is the universes way of showing us that we can achieve a high level of success, with, of course, practice; the first step to growth is being knocked off balance. We get removed from the center by ‘x’ amount which is directly proportionate to how much we have chosen to learn. It is through learning and growth that we come back to our center with the tools that were required to bring ourselves home. The flip side of our return to balance is expressed directly as growth. The universe in its infinite love for us will continue to send us lessons, and one of the most frustrating truths to accept is as follows: ‘Wow, you learned a lesson, you overcame a problem? Each time we show the universe that we can take the heat, life becomes a little hotter! It is simply one of the painful aspects to this path of learning, yet it is beautiful because of the growth we experience from it. The main thing to remember here (going full circle) is that it is our friends who come to teach us these lessons. It is our soul friends who (by our consent) hurt us, our friends who betray us and our friends who give us our opportunities to learn. we naturally forget that they are our friends when we cross over the river of forgetfulness (birth). If you would rather be happy than right, just pretend that they love you, it will definitely change your perspective!